Hours: Monday and Wednesday: 10 a.m. to 7 p.m. Tuesday, Thursday, & Friday: 1 to 5 p.m. Saturday: 9 a.m. to 1 p.m.
Gustafson, along with his wife Hilary, owns the Literati Bookstore in Ann Arbor. He set out a typewriter for customers to type on and then compiled many of them with Uberti into book form along with photographs and essays by Gustafson. TYPEWRITER DISPLAY: Includes a variety of manual and electric typewriters borrowed from patrons and former resident and typewriter collector Scott Porterfield. ART SHOW IN THE ANNEX: Unique artwork created by Morenci Area Schools students under the direction of art teacher Phil Grimes. PUBLIC TYPEWRITER: Type notes on the library's typewriter in the main area of the library. MAGNETIC POETRY: Create poetry from Magnetic Poetry sets featuring words in fonts that look like typewriter type. SATURDAY, APRIL 27, 11 a.m.-12:30 p.m.: Decorate round cookies to look like typewriter type. 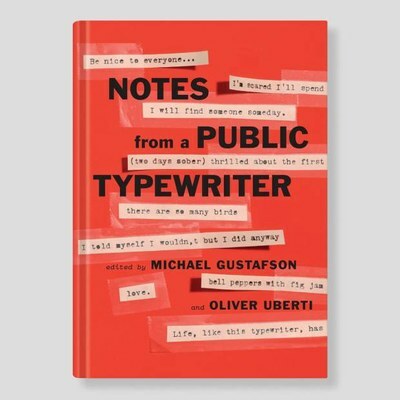 THURSDAY, MAY 2, 6:30 p.m. 2019 Michigan Notable Book winner: Notes from a Public Typewriter featuring editors Michael Gustafson and Oliver Uberti. NOTE: The book discussion group meets the third Monday of the month, February through November. Who: Anyone who loves books and a good discussion. When: Monday, May 20, 2019, @ 7 p.m.
Why: It's fun! Intellectually stimulating! Socially uplifting! 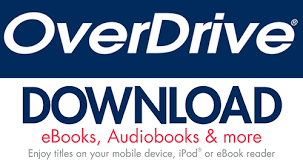 How: Ask for a copy of the book at the circulation desk; large print and audio also available. Every Monday at 10:30 a.m. throughout the Morenci school year STARTING SEPT. 17, 2018. The program is canceled when Morenci schools are delayed or closed. The program is a participatory, rollicking half-hour of short stories, songs, nursery rhymes, finger plays and the like for children under two and their parents or caregiver. Pre-school age children accompanied by their parent or caregiver are welcome to attend. Registration is not required, but is helpful for staff planning. 'CLEAN UP YOUR ACT' LITTLE BOOK CLUB! Inspired by little, short books such as Marie Kondo's "The Life-changing Magic of Tidying Up: the Japanese art of decluttering and organizing." Join the fun and discussion! "MADDOGGS' SCIENCE: GIRLS NIGHT OUT!" Registration requested to help with staff planning. Send a message on Stair District Library Facebook, email stairlibrary@gmail.com or stop in or call 458-6510 during regular hours: Monday & Wednesday: 10 a.m. to 7 p.m.; Tuesday, Thursday, & Friday: 1 to 5 p.m.; Saturday: 9 a.m. to 1 p.m.
“GIRLS NIGHT OUT” is a series of 6 FREE events/field trips with short demonstrations of scientific principles. It's part of the NASA @ My Library grant initiative. NASA @ My Library is led by the National Center for Interactive Learning at the Space Science Institute in partnership with the American Library Association Public Programs Office, the Pacific Science Center, Cornerstones of Science, and the Education Development Center. ● Bright Idea: Field trip to the Ann Arbor Hands-On Museum to explore light and optics. ● Out to Ohio: Field trip to Plum Brook Station to tour the Glenn Research Center & NASA Glenn Visitor Center. Planetarium: Science Cafe at the library with Snippets of Science and Snazzy Snacks, followed by field trip to Adrian College Robinson Planetarium with Dr. Sarah Hanson & /cosmic Colors planetarium show. Feb. 17 2018, 5 p.m. at library; 7 p.m. at planetarium. SECOND THURSDAY @ 2 P.M.
Talk @ Two discussion group has morphed into Talk with TED at 2 p.m. featuring TED Talks from ted.com followed by discussion. Come talk about it! Click on the ted.com link, browse the site, and offer suggestions of talks you'd like us to feature. FRIDAY, March 22 @ 3:45 P.M.
Talk with TED for Teens! Features TED Talks from ted.com followed by discussion and refreshments! Come talk about it! Click on the ted.com link, browse the site, and offer suggestions of talks you'd like us to feature. The group usually meets at 11:11 a.m. on the second Saturday of the month in the library annex. Next session: To be announced. From 4 to 5 p.m. every Tuesday, staff will be available to help you with your mobile device or give computer-related instruction. Bring your questions: If we don't know the answer, we'll find someone who does! FAMILY STORYTIME Fall Series: Sept 24 to Oct. 29 @ 5 p.m.
Books and stories! Music and movement! Hands-on activities and snacks! The program focuses on the 3-5 year-old age group, but all family members are encouraged to attend. Pre-schoolers must be accompanied by an adult. Attend any or all of the Mondays, registration is helpful for planning; see contact info. Send a message on Stair District Library Facebook, email stairlibrary@gmail.com or stop in or call 458-6510 during regular hours: Monday & Wednesday: 10 a.m. to 7 p.m.; Tuesday, Thursday, & Friday: 1 to 5 p.m.; Saturday: 9 a.m. to 1 p.m. Closed Wednesdays in the summer at 5 p.m. Literally...how much do you save by using your library? Find out by using the "Return on Investment Calculator" in the box to the right, under the hours, or at the top left in the navigation box...last item. 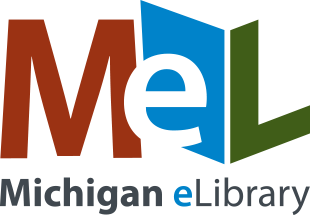 Copy and paste login info: User ID: wlcmichigan / Password: Woodlands50!